Michigan has had plenty of success recruiting top-flight defensive line talent in the last couple of recruiting classes, including landing five-star DE Rashan Gary in 2016, five-star DT Aubrey Solomon in 2017, top 100 DE Aidan Hutchinson in 2018 and five-star DL Chris Hinton (and potentially five-star DE Zach Harrison) in 2019. 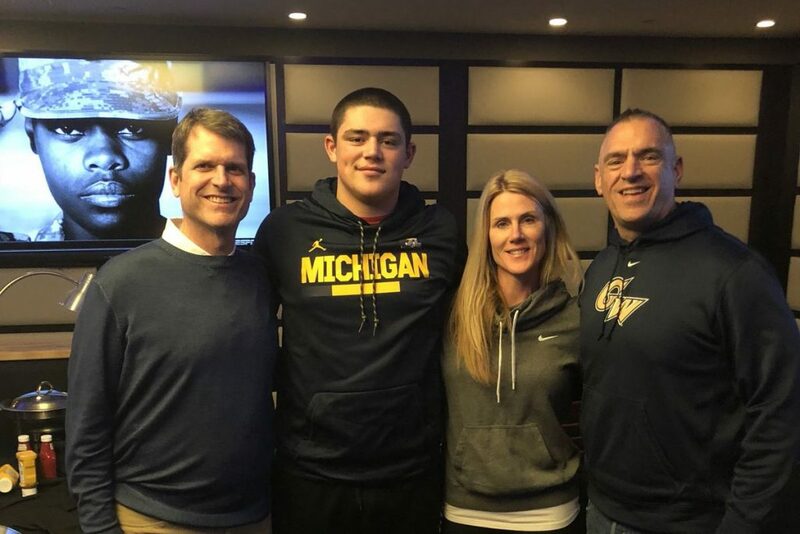 And the staff has put itself in position to fight for the top defensive lineman (and overall player) in the 2020 class as five-star Damascus (MD) DE Bryan Bresee has named Michigan to his top six teams. Bresee is a monster on the gridiron already and has been since his freshmen year. Watch his tape for a couple plays and you can see why he’s the Composite #1 overall player in the class. But unlike another former top-ranked defensive end from the east coast, Michigan looks to be running in a trailing position here. Ohio State, Penn State, Clemson and Alabam have received the most love early on in his recruitment but a visit to Ann Arbor last January clearly helped keep the Wolverines firmly in this race. While he’s not a player I will have in my first 2020 Best Guess Recruiting Class, this will be a recruitment to pay attention to closely. Greg Mattison has done wonders on the recruiting trail and Bresee looked to come away impressed with everything Michigan has to offer after his first trip to campus.